The next largest communities to Rosseau are Huntsville and Perry Sound. Huntsville is located 40 km to the east and Perry Sound is located along Highway 400, south of Rosseau. Rosseau is a community in the District of Parry Sound, located in the township of Seguin. It is situated on the north shore of Lake Rosseau, a popular vacationing area. the scenery, shop for arts and crafts, or stop at the historic buildings. The town also hosts summer farmers markets and the Rosseau Fall Fair in late August. There is no hospital in Rosseau. 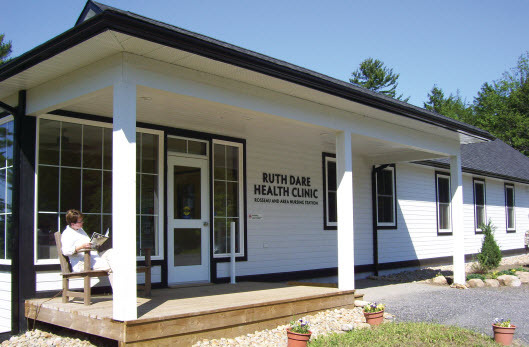 The Ruth Dare Health Centre is located in Rosseau, and nurse practitioners deliver primary health care to the local residents and bring advanced education to the centre. Nurse practitioners can prescribe and renew medications, diagnose and treat common illnesses, administer vaccinations, suture minor cuts, perform routine health exams, identify health risk factors and monitor health status, monitor chronic illnesses, and blood work. The centre is operated by West Parry Sound Health Centre, which is supported by the Ministry of Health and Long-Term Care and supporting residents.